Mores Creek Summit Backcountry Skiing: Thanks Theo! It has been challenging to write about somebody like Theo. Theo's passion for sharing the wonderful winter outdoors as well as teaching many how to do it safely, served as inspiration to my journey as an avalanche educator. Theo Meiners passed away during the International Snow Scientist Workshop 2012 at Anchorage-Alaska during an accident the evening of Thursday September 20. Needles to say, Friday, the concluding day of ISSW 2013 was a somber day that reminded us about how special and important human relationships are. Below, I include one of his typical short & sweet e-mails. He was always thinking about finding means to better teach avalanche courses. Theo was part of the instructor pool when I participated as a student in the National Avalanche School Phase II at JAH several years ago. Among many other avalanche topics (like ... proper manner to approach cornices), he taught to NAS students "how to survive if caught in an avalanche". Months later, I made a poor decision after a late winter powder day while skiing alone, and I was caught in an avalanche and fortunately Theo's training kicked-in. The techniques were effective in allowing to avoid the slide leading edge and reach the safety of its flanks. This summer after returning from South America I was eager to visit with Theo during ISSW 2012, and let him know that again the techniques he so much shared with his students and friends worked splendidly to keep me safe from injury. For a second time, I have been caught in an avalanche, this time in the southern hemisphere, and again his teachings were instrumental in keeping me safe from injury. Filo Avi from Santiago Rodriguez on Vimeo. From this video, it is hard to realize what is going on in such a short time, and fast moving slide. Before the avalanche, as always, I planned a escape route to skiers right, below a lower rock outcrop, at the exit of the couloir. Noticed that in the video I vigorously skied and traverse below the lower rock outcrop as the slab accelerated and I managed to stay behind the avi leading edge. Theo's always emphasized that the first 2-4 seconds of an avalanche are critical to arrest as much downhill movement as possible, and allow the slab to pass without dragging the skier into the turbulent zone. Digging in with both poles into the bed surface was effective in the avalanches I have to deal with, and in both cases allowed most of the snow and slab material to move ahead of me, and leave me in the more laminar flow (water like). Keeping the body compact is also key, in order to keep you stable as you ski into the flank within the still fast moving laminar flow. You will notice in the video snow flowing over me as I skied to the flank until one ski releases and I do a head planter in the bed surface. Notice in the last seconds of the slow motion avi clip when I look up, and a ski and pole are uphill in the bed surface. This avalanche ran another 800 feet below where I exited it. Again - Thanks Theo for your teachings! The next image summarizes "How to Escape from an Avalanche". Next a link for a paper from from Theo published by the American Avalanche Association in The Avalanche Review. This paper was also presented few years ago at ISSW 2008. Please share the above document with your backcountry skier/riders/snowmobilers friends. 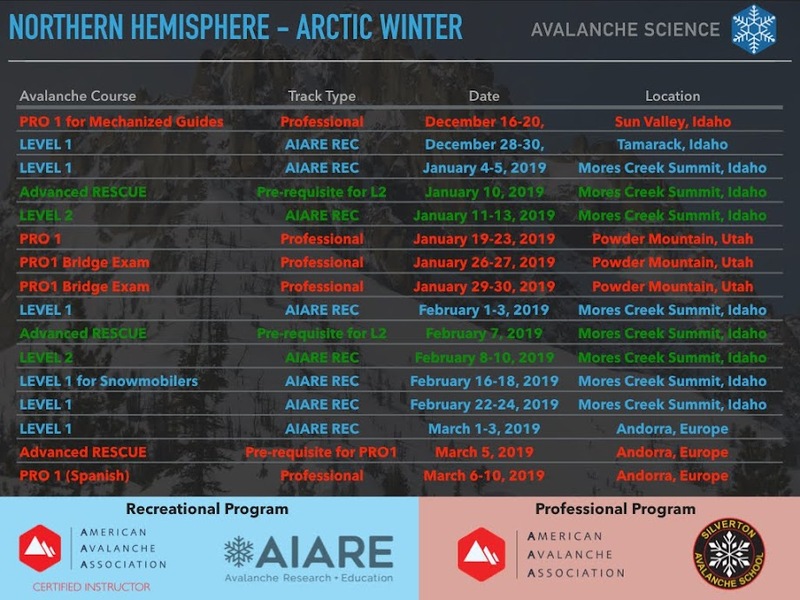 It is important to take an avi course if you have not, seek winter backcountry mentors, read & learn about avalanches/snow/weather, check avalanche forecasts from avalanche centers, and follow safe travel practices. However, for those rare moments when everything else fails ("black swan" moments), make sure you stacked the odds on your side by familiarizing yourself with the techniques Theo advocated so much; KNOW WHAT TO DO DURING AN AVALANCHE! Theo's smile is forever etched in mind as he walked away that Thursday late afternoon, as he looked back to me, and rejoiced at my effervescent expresion of gratitude after he graciously present me with a parting present. I am going to miss Theo, he was a superb role model, and mentor. ISSW is not going to be same event without Theo. Hasta que nos encontremos otra vez, mi amigo!